The CMS expects that most states won't take advantage of its proposal to offer greater flexibility for determining essential health benefits and medical loss ratios. The agency estimates that only 22 states will seek to push MLRs below the current 80% threshold, which regulates the proportion of insurance premiums that must be spent on medical care. In addition, the CMS believes 10 states will tinker with their essential health benefits in any given year, according to draft documents the agency will send to the White House's Office of Management and Budget for review. "States are feeling some whiplash of late," said Josh Archambault, a senior fellow at the Foundation for Government Accountability, a conservative think tank. "Many will be interested in looking at this kind of flexibility down the road but given the complexity of insurance, the uncertainty around repeal and replace, and open enrollment, I think most states will need some additional time of certainty to fully digest what the playing field looks like before making too many moves." Both proposals were part of CMS' wide-ranging, 365-page marketplace rule released late Friday afternoon. The agency said the measures would give states greater flexibility and reduce burdens on stakeholders, which would help stabilize the individual and small-group insurance markets and improve healthcare affordability. The CMS' MLR estimate is based on feedback from unidentified states, while the projection for interest in the EHB option was not explained. But it's unclear if these estimates are accurate. The National Association of Insurance Commissioners, whose members would take advantage of the CMS rule, did not request either of these flexibility proposals, a spokesperson said. The Society of Actuaries, which advises states on insurance rates, also said it hadn't heard that states needed flexibility for essential health benefits or medical loss ratios. "My sense was these issues were not deal breakers," said Dave Dillon, a fellow at the society. "It seemed marketplaces were stabilizing." "States with Republican control of the executive and legislative branches will likely be more inclined to take up these options," Fiedler said. Access to coverage could also play a role. States have had the ability to ask for lower MLRs since the start of the ACA, but it was technically complex to do so, according to Sabrina Corlette, a research professor at Georgetown University's Health Policy Institute. The proposed rule seeks to streamline the process. States also didn't try to change their MLRs because insurance companies regularly spent 90% or more of premiums on medical care, as they were initially undercharging for the plans and beneficiaries were sicker than expected, Corlette said. Now, as plans begin to break even or turn a profit, more companies may begin to ask insurance commissioners for a lower MLR, especially if the plan is the only one serving a county or region. "You could see that insurer saying, 'If you want me to stick around … lower the MLR,' " Corlette said. "And states may say 'we can't afford to lose them, so we'll do it.' "
The CMS estimated last month that there are 1,565 counties that have one carrier. In other words, more than 2 million people on exchanges don't have more than one insurance carrier option. Getting permission to lower the MLR could also be key to attracting new insurers to additional markets, according to Ed Haislmaier, a senior research fellow in healthcare policy for the Heritage Foundation. It likely won't draw major players like Aetna back to the marketplaces, but it could be key to get regional insurance companies to expand their footprints. Small plans face big administrative costs to enter new markets, and lower MLRs could entice them to make that leap, Haislmaier said. Haislmaier, who worked with Trump's transition team on health policy, said he isn't surprised by the low estimate for states seeking to alter their essential health benefits. The proposal wasn't in the CMS' market stabilization rule because the policy proposal was expected to have little impact. 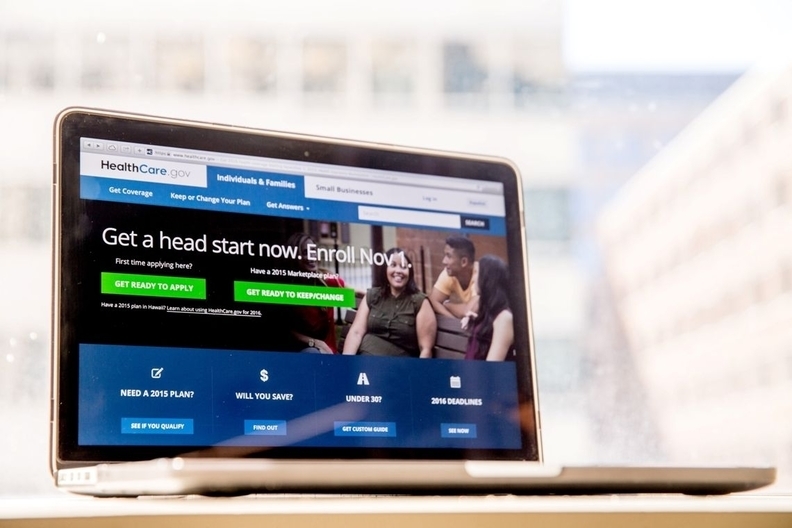 As long as the ACA remained on the books, the agency could only give limited flexibility in terms of levels of coverage that had to be offered under each benefit category. It didn't have the ability to eliminate any category. There was hope that Congress would either repeal the benefits or give the states the ability to cover a smaller number of necessary categories. After multiple attempts fizzled, the agency decided Friday to propose the new flexibilities in hopes it would have some sort of impact on premium prices, Haislmaier said. "Their point seems to be that any little bit helps," he said.